Welcome to the Vickery Collection Website! 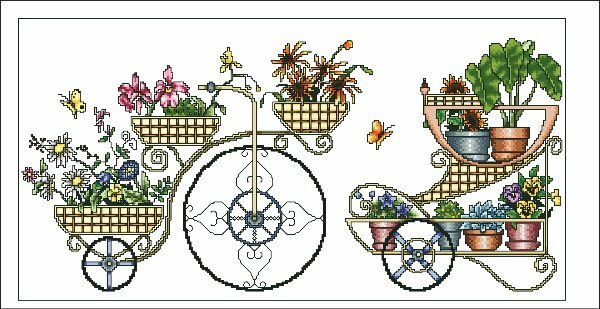 Flower Carts #2070 is an example of Mikes color useage in his designs. 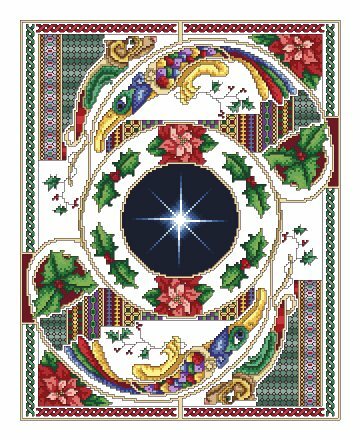 Mike also offers many designs for all of your favorite holidays throughout the year, such as this design called Celtic Christmas #2120. The new email address for Vickery Collection is now vickstitch62@gmail. *Customers: Because of the location of Vickery Collection, phone calls are sometime missed. Please email any questions or concerns. Mike would like to thank all customers, distributors, and shops that support him in his continuing love of creating designs. Vickery Collection is owned by Mike Vickery. Mike creates all of his own designs as well as manages the company. He is available to take orders, answer questions and assist you in any way needed. Mike has not always been a cross stitch designer. He spent years working as a computer technician in the early years of the personal computer industry. In 1992 he left the computer field to pursue a professional career in the art field. 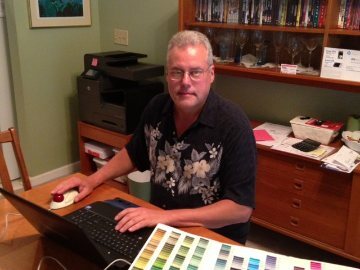 He began working for a cross stitch and crafts publisher, and when they relocated to the west coast, he decided to work as a free lance designer. During the free lance years, hundreds of Mikes designs were published in magazines, leaflets, and books. For years he considered publishing on his own, but waited until his children were older. That day arrived in 1998 and he began publishing many of his favorite designs. Mike is now retired from the Department of Human Resources of Georgia as an instructoy for mentally challenged adults. You may pay for your Vickery Collection order via PayPal. Email order at vickstitch62@gmail.com. Each Vickery Collection chart pack sells for $10.00 US. Shipping will be added. You may also pay with personal check made out to Vickery Collection. Some of the titles come as kits as well, but supplies and titles are limited so contact us for avalability and pricing. We are sorry, but at this time we do not take credit cards.